Ok, I could have said Flu but I prefer to focus on the positive and February has been a great month of Networking on many levels. I joined a group at the end of last year who meet monthly – The Last Hurdle. Such a friendly group with business members from all backgrounds (and we get bacon sandwiches !) Through this group I met the lady who has redesigned my business cards, flyers and website Silverstone Designs and put me in touch with the website builder who has the patience of a saint Village Web Design. I was invited to a launch party/networking event by MisstoMrs magazine based in Leicester. A long way to go but it was so worth it, meeting with fellow wedding suppliers and starting collaborations that would never have happened unless I went the extra mile (well few miles in this case). 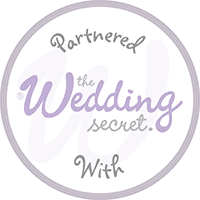 Then there was the first meeting with ‘The Oxfordshire wedding Project’ where I met a mixed group of suppliers to the wedding industry and beyond. It was a warm and welcoming group and we had a key speaker and all had the chance to introduce ourselves. I was very impressed with the group and in particular the support they offered small businesses and young entrepreneurs. Christine (Chantilly Rose) asked me to bring along some decorated cookies with the Oxfordshire Project logo which were very well received. Since the meeting I have met with another business who attended (Hayley Ruth Photography) and we are working on some collaborative ideas already. So I may have moved from the world of employee to self employed but I have networked with more new people since the start of the year than I ever imagined. Oh and I have made some cakes & cookies too! !